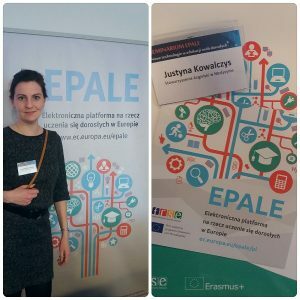 On the 4th April 2017 three members of Stowarzyszenie Angielski w Medycynie, Ms. Dorota Borowska, Ms. Justyna Kowalczys and Ms. Julita Stańczewska took part in EPALE workshops organised by Polish National Agency (Fundacja Rozwoju Systemu Edukacji (FRSE)) in Warsaw. realized by Polish partners are not in Polish NA’s database, so direct information gathered from organizations is of importance. 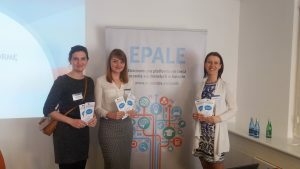 There was also an occasion to share information about HELP with other organizations (mostly Polish organizations that deal with online learning and newest technologies in teaching) which are currently involved in Strategic Partnerships for Higher Education projects.